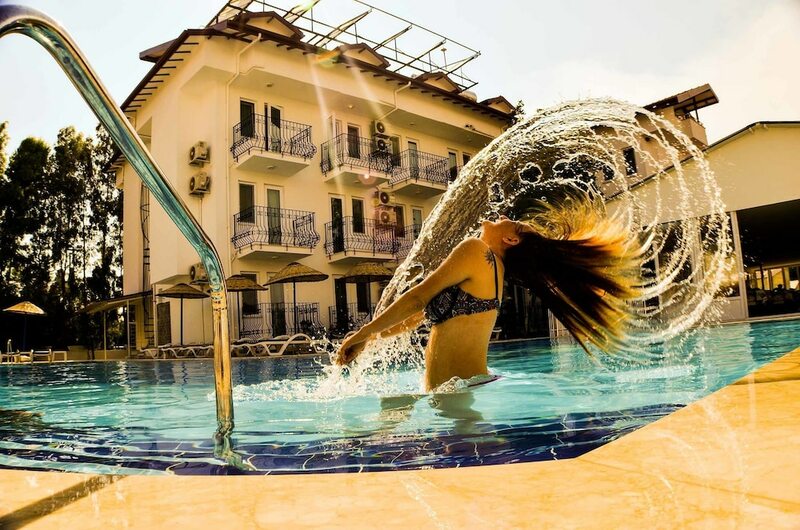 Located in the heart of Fethiye, this hotel is within a 10-minute walk of Sultan's Aquapark and Calis Beach. Calis Bird Sanctuary and Fethiye Kordon are also within 15 minutes. An outdoor pool, a bar/lounge, and a children's pool are available at this smoke-free hotel. Free WiFi in public areas and a free manager's reception are also provided. Additionally, concierge services, a 24-hour front desk, and a library are onsite. All 46 rooms offer free WiFi, balconies, and LED TVs with satellite channels. Minibars, room service, and hair dryers are among the other amenities available to guests. Hotel Seril 2 features an outdoor pool and a children's pool. A bar/lounge is on site where guests can unwind with a drink. Each day guests can enjoy a complimentary manager's reception. Public areas are equipped with complimentary wireless Internet access. This business-friendly hotel also offers a library, multilingual staff, and a garden. For a surcharge, a roundtrip airport shuttle (available on request) is offered to guests. A total renovation of this property was completed in June 2015. Hotel Seril 2 is a smoke-free property. Start your morning with a buffet breakfast, available each day from 8:00 AM to 10:00 AM for a surcharge. Every day, the hotel hosts a free manager's reception for you to enjoy. Room service is available during limited hours.